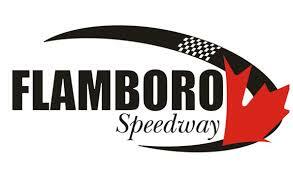 Through the course of the 2017 season, there were plenty of moments that stood out for the Sauble Falls Tent and Trailer Park Late Models at Sunset Speedway. Before we look ahead to 2018, let’s take a glance back at the year that was. What’s better than ending your season in victory lane? That win being your first victory ever in the division, as was the case with Danny Benedict at the Velocity 250. But it didn’t come easily by any means. The restart following the sixth caution at Lap 51 saw another battle for the lead between Shepherd and Benedict, with Shepherd pulling ahead on Lap 55, as Hallyburton got alongside Benedict for second. Hallyburton cleared him, getting alongside Shepherd for the lead a lap later ahead of Benedict and Spencer-Walt. The battle for the lead wasn’t clean, as some bumping and three-wide action ensued, resulting in the top spot between a drag race between Benedict and Hallyburton at Lap 58. With 15 laps to go, Benedict cleared Hallyburton to take the top spot, leading the rest of the way. On numerous occasions this year, Gord Shepherd and Nick Goetz put on a show at the front of the field, entertaining the fans. Looking back, there was at least one feature per month that stood out. From the 11 laps side-by-side to start the feature on September 10, to over half a feature battling for the top side until six laps to go on August 5. One of the most memorable has to be July 8, though, as they battled throughout the entire second half of feature two. A caution came out with four laps to go, setting up a dash for the win. From the drop of the green flag to the checkered, the fans were treated to a show with Goetz and Shepherd side-by-side for the top spot. Goetz would clear him with one lap to go, getting the win this time around. Gord Shepherd put together an impressive season en route to the championship, and you could say that he went out the perfect way on September 17. In the first feature on the final restart with five laps to go saw Gord Shepherd and Nick Goetz battle side-by-side for the top spot, with Shepherd clearing him on the white flag lap to take the victory. With the rules setting him up to start 12th in the second feature, he made his way through the field to pass Jordan Latimer for the lead with four laps to go to sweep the night. Not a bad way to celebrate a great season….. While there were some memorable battles for the win this year, there were also some that didn’t go as smoothly. Anybody recall August 26th? Coming off turn four with two laps to go, Taylor Holdaway made the move underneath Gord Shepherd for the lead, with the pair coming together. As they got sideways, they’d make contact with Rick Spencer-Walt, resulting in Spencer-Walt making significant contact with the turn one wall. Spencer-Walt was done for the event, with both Holdaway and Shepherd able to continue, sent to the tail of the field for the restart. Nick Goetz would inherit the lead, holding off the field on the restart to pick up the feature victory. With competition at an all-time high, track position and making moves became a premium if you wanted to put together a pair of solid features. Then there was a performance put together mid-summer that ultimately left a bunch of fans speechless. Starting from the tail, Ryan Kimball avoided some of the chaos ahead of him – including a five-car crash in turn three early in the event, making progress up through to the front of the field. He’d make his way into second in the final laps, getting by Rick Spencer-Walt on a late-race restart to take home the victory. Despite the year ultimately going as how he probably envisioned overall, Taylor Holdaway found himself in the midst of a couple strong battles for the lead through the summer. On June 24, from Lap 25 until the end, Holdaway raced side-by-side for the lead with Shepherd. Through a pair of restarts, the pair went back and forth, remaining side-by-side till the white flag lap. In the end, it’d be Gord Shepherd getting ahead, and edging Taylor Holdaway at the line for the victory. Then a week later in July 1, from Lap 9 until the end, Holdaway went back and forth for the lead with Mike Bentley. This time, though, it was Holdaway’s turn to win as he would clear Bentley for the lead with two laps to go. The fans were certainly treated to a show on June 3, courtesy of a battle between Rick Spencer-Walt and Nick Goetz. With six laps remaining, Spencer-Walt would clear Morrow for the lead and it seemed he was set to clear sail en route to victory, but that wasn’t meant to be the case tonight with another challenge remaining. Going into turn three, Nick Goetz got alongside Spencer-Walt for the lead. Down in turn one, Goetz cleared Spencer-Walt for the lead. When the pair got down to turn three, Spencer-Walt got to Goetz’s back bumper, giving it a small bump with four laps to go and passing him for the lead. Spencer-Walt then led the final two laps en route to picking up his third NASCAR Whelen All-American Series / Sauble Falls Tent and Trailer Park Late Model victory of 2017. You should’ve known that this year would’ve been filled with a lot of excitement, though, based on how everyting began on opening night. Following a restart with three laps to go, Taylor Holdaway edged Gord Shepherd by 0.021 seconds to score the victory.